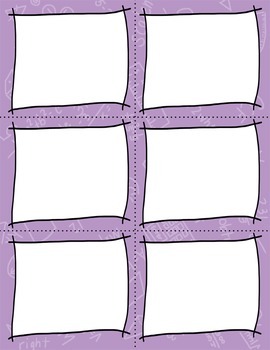 You will receive 3 task card templates and cover page (with my crossed corners frame) on my purple math background paper and cut lines. Files are provided in .png images only and 300 dpi. 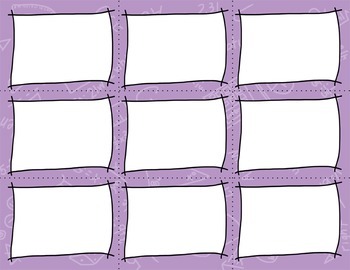 No more trying to re-size 8.5 X 11 frames that you have already purchased and have them look funny because you have tried to make them the right size. All you have to do is add your text. Requests welcome!! Do you like one of the frames and want it paired with one of my background packages? Let me know and I will get a listing ready for you. Maybe you are looking for a certain size frame, please contact me! Commercial Use TOU: Your final product must be a flattened PDF and each card must contain questions that you have added. You can NOT make your own editable task cards with this product. These designs were created by myself. All graphics may be used for personal and commercial use. 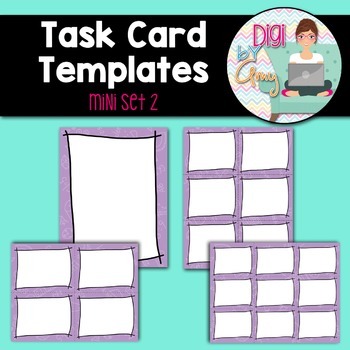 No additional licenses are required, however, it is required to give credit and link back to my TpT shop, if you choose to use my task card templates for commercial use.